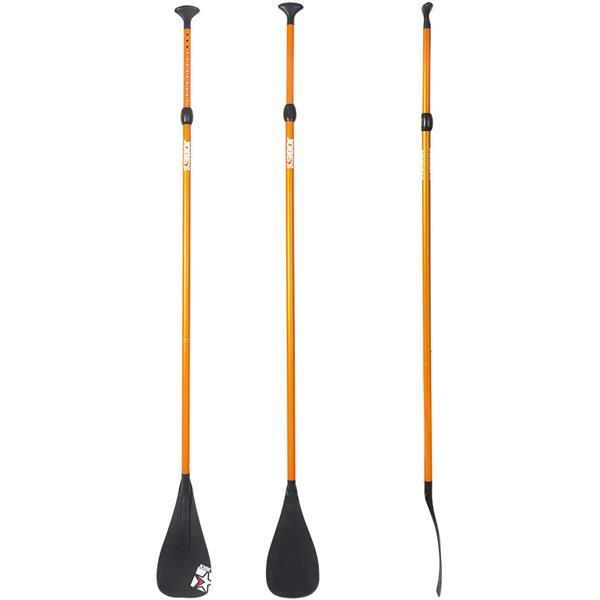 This aluminum SUP paddle with comfortable T-grip and fiberglass reinforced nylon blade, is 2-piece adjustable... and your most budget friendly choice! This paddle is good for beginners. The adjustable length helps you find your right length. The downside is, when it gets wet, it gets kind of heavy. But the price point makes it completely reasonable for any budget!